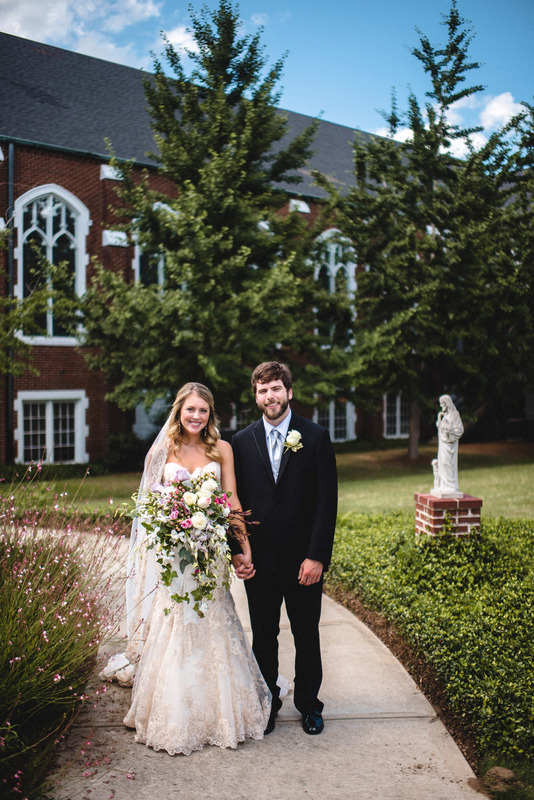 Allie Elizabeth Prater of New Albany, Mississippi and Jud Alan Judkins of Brandon, Mississippi were united in marriage on June 4, 2016 in a ceremony surrounded by family and friends at First United Methodist Church in New Albany, Mississippi. Reverend Barry Male of New Albany, Mississippi performed the ceremony. 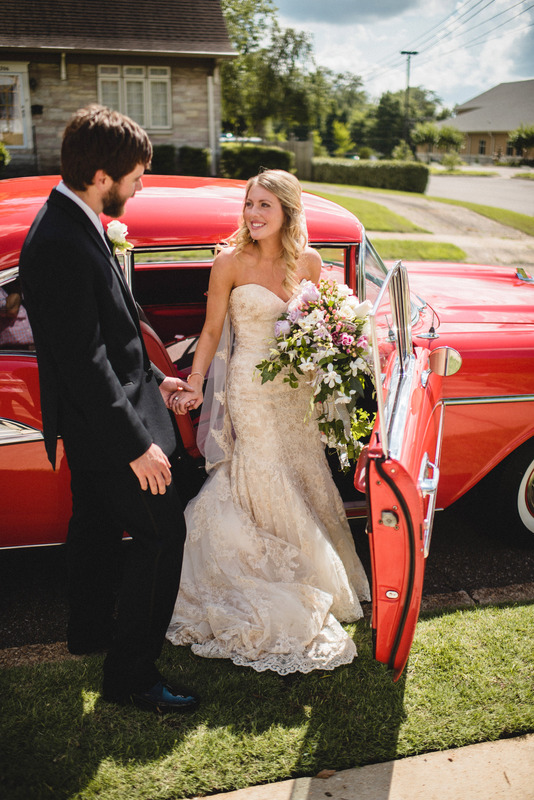 The bride is the daughter of Dr. and Mrs. Allie Lee Prater of New Albany, Mississippi. She is the granddaughter of the late Mr. James William Brawner, the late Mr. Louis P. Perkins and Mrs. Leeta Perkins, and the late Mr. and Mrs. Tilton Eugene Prater. The groom is the son of Mr. and Mrs. Thomas Alan Judkins of Brandon, Mississippi. He is the grandson of the late Dr. and Mrs. Charles Fowler and the late Mr. Robert Judkins and Mrs. Robert Judkins. Given in marriage by her parents and escorted by her father, the bride wore a strapless Eddy K gown of ivory lace. The gown featured hand-embroidered designs and a cathedral train veil with a lace edge. The Maids of Honor were Hannah Prater and Leeta Ann Prater of New Albany, Mississippi. 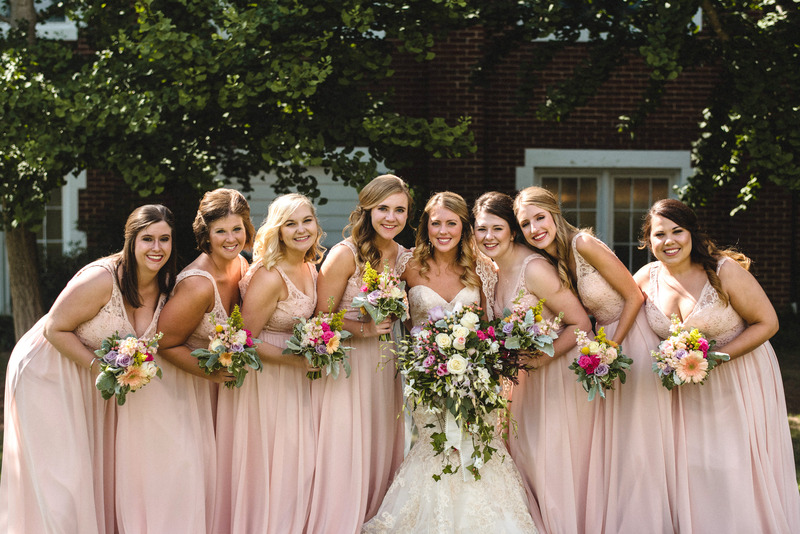 Bridesmaids were Allie Cissom of Oxford, Mississippi, Taylor Lindsey of New Albany, Mississippi, Anna Katherine Robbins of New Albany, Mississippi, Paige Adoue of Jackson, Mississippi, and JoAnna Jameson of West Point, Mississippi. Honorary Bridesmaids were Mary Catherine McClinton of New Albany, Mississippi, and Erin Hovanec of Jackson, Mississippi. They wore Mori Lee dresses in blush. Brother of the groom, Jeffrey Judkins of Pensacola, Florida, was best man. Groomsmen were Jeremy Lantz of Clinton, Mississippi, Andrew Barnett of Clinton, Mississippi, Zak Prevost of Clinton, Mississippi, Allen Gearhart of Clinton, Mississippi, Timothy Davis of Clinton, Mississippi, and Logan Roberts of Florence, Mississippi. 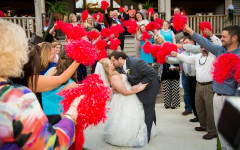 The reception followed at Oaks Country Club in New Albany, Mississippi where guests enjoyed delicious food catered by Tallahatchie Gourmet and music by The Beale Street All-Star Band. The couple enjoyed a week long honeymoon in Barbados. 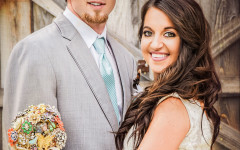 They currently reside in Clinton, Mississippi, where the bride is a speech pathologist at Florence Elementary School and the groom is a mechanical engineer for Entergy.